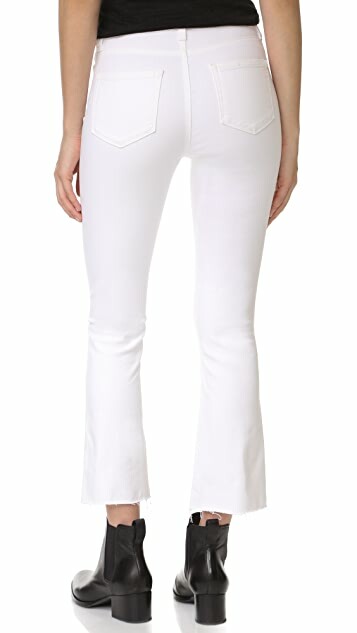 Raw cuffs lend a hand-cropped look to these flared PAIGE jeans. 5-pocket styling. Button closure and zip fly. 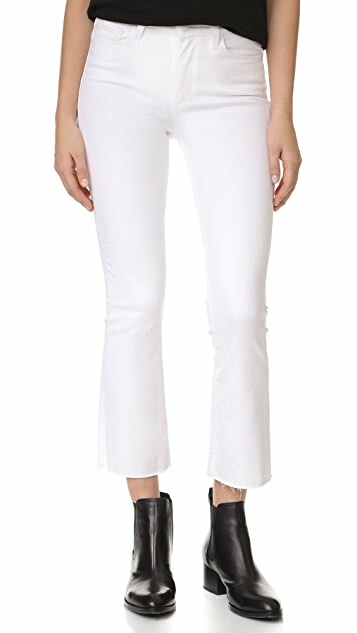 Been loving Paige jeans due to the breath-ability of the fabric and ordered these as I always need a white pair for the summer. The fabric of these jeans are stiffer than my others and though the fit was good, I returned to search for a different pair.